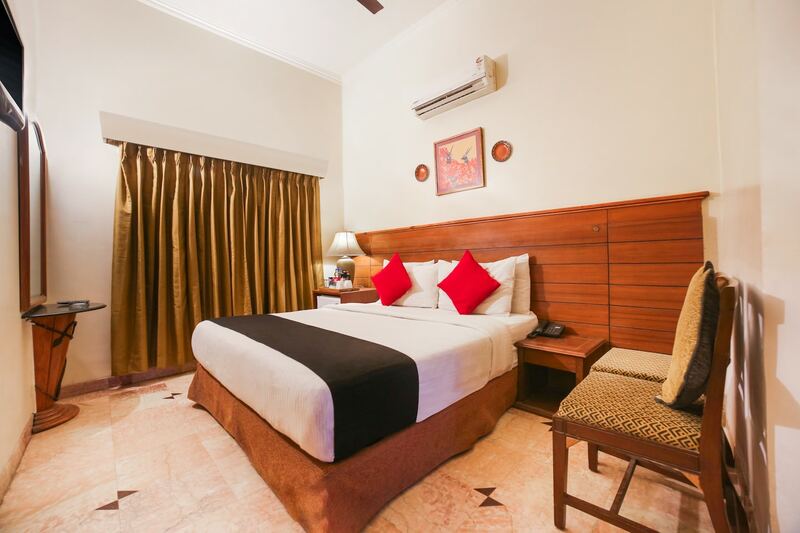 Dayal Lodge is a Boutique Hotel that is located on Dayalbagh Road in New Agra. Prominent tourist attractions such as Itmad-ud-Daula and Mehtab Bagh are in close proximity. The excellent wooden furnishings and the spaciously designed rooms are quite an attraction of the hotel. The property also houses an in-house restaurant for the comfort of the guests. The rooms at the hotel are cosy and have luxurious interiors. The various amenities that the hotel offers include free Wi-Fi, king sized bed, power backup, card payment facility, hair dryer, CCTV cameras, laundry service and more. There are a number of restaurants like Bikanervala, Bhagat Halwai, Pinch of Spice and MKOP and various market places like Vishal Mega Mart located in the close neighborhood of the Hotel.